Helping facilities better utilize the layout of their existing space is what Screenflex does best! 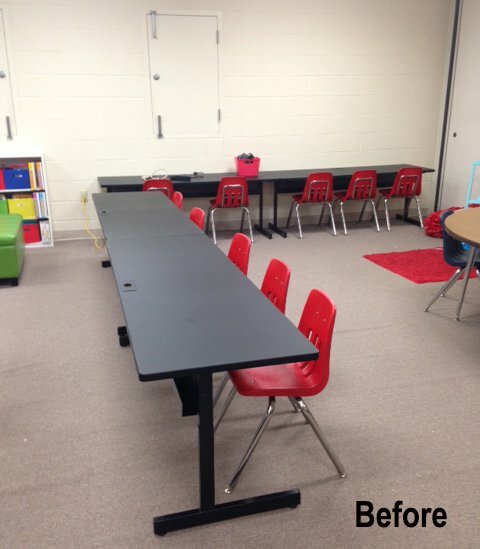 For example, the Glen Rose School created a new computer lab within their library. This is exciting news for the students and staff but required some additional planning. The staff saw a need to divide the computer lab from library patrons. 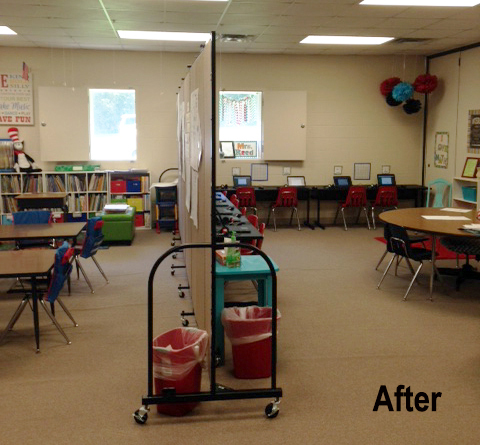 After researching many options, Glen Rose contacted Screenflex Room Dividers to purchase their dividers. What sets Screenflex apart from competitors? The sound absorbing capabilities of our dividers! This feature is important to the staff because the library and computer lab are used simultaneously. Additionally, Screenflex Dividers eliminate visual distractions. It’s a win-win for everyone using the library! We are confident you will find the perfect Screenflex divider for your space. Choose your divider from our 36 sizes and 38 colors.